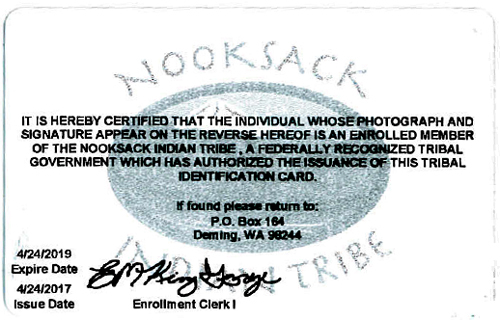 The enrollment card has security features comparable to state Driver's License. 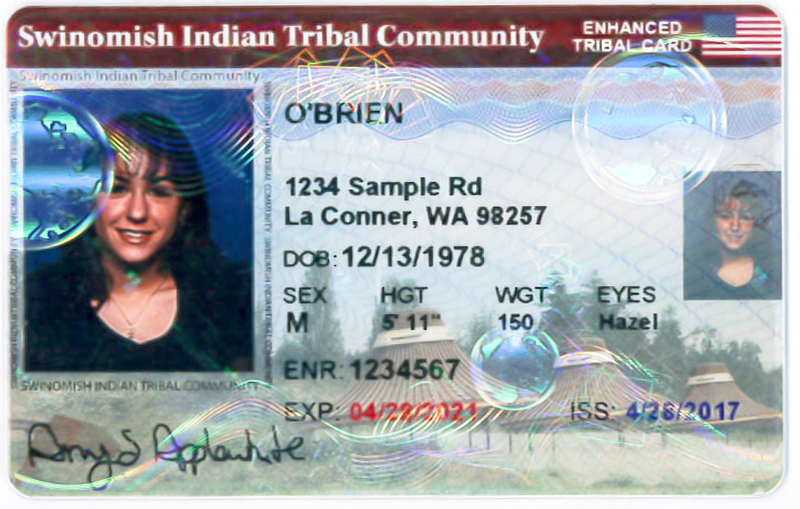 The following Tribal enrollment cards may be used as official ID for age verification for purchasing alcohol and tobacco. 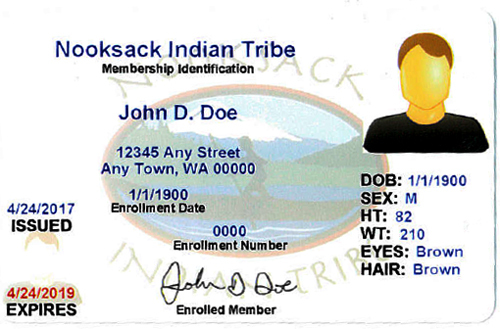 As additional Tribes notify the Liquor and Cannabis Board, additional samples of enrollment cards will be available on this page. Location of Birth Date: On the front center of the card. Location of Birth Date: On the front right side at the bottom of the card. Location of Birth Date: On the front of the card,center under location . Location of Birth Date: On the front left side of the card. Location of Birth Date: On the front right side of the card. Location of Birth Date: On the front side of the card, near the bottom of the card. 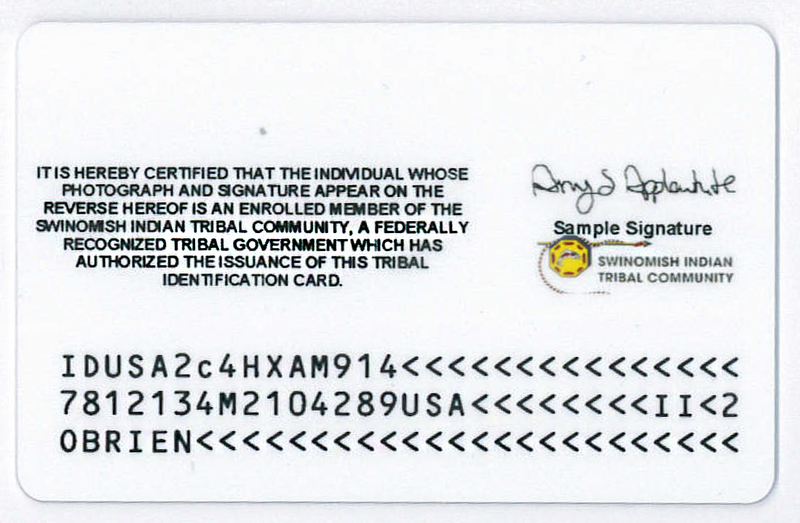 Location of Birth Date: To the left side of the card near the top . 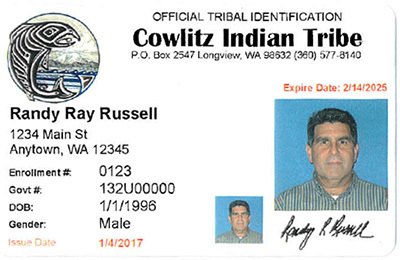 Location of Birth Date: Just below the photo on the right side of the card under the photo. 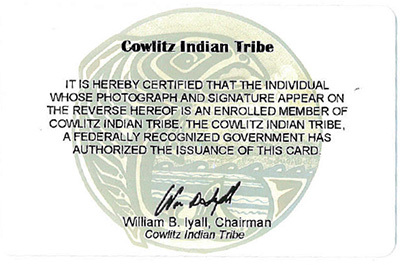 Location of Birth Date: On the front, to the right of the card below the photo.